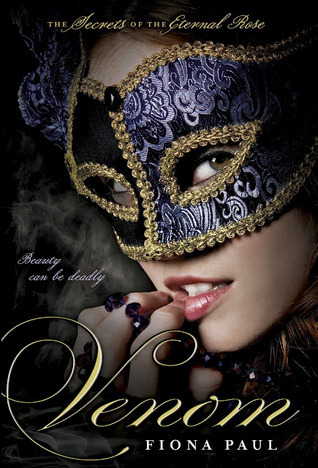 Venom by Fiona Paul is an intriguing story full of suspense, romance and adventure. Set in renaissance era Venice this novel follows Cass, a young woman intent on unearthing the ones responsible for the grisly murders she uncovers and the disappearance of a friend’s corpse. All the while struggling with the decision to follow her heart or to do what is expected. Fiona wrote an absolutely fabulous story that had me hooked. I don’t normally read mystery novels but this one had enough of a little bit of everything to keep me going. The main character really grew from beginning to end from a naïve girl to and understanding young woman. This was a great young adult book that should appeal to those that like any genre of literature.